The Honolulu Museum of Art partners with community art group Ukwanshin Kabudan, led by Eric Wada, and The Okinawan Textile Association to co-present a weekend of programs in conjunction with the exhibition Lacquer and Clay: Okinawan Art. The Honolulu Museum of Art has an extensive collection of Okinawan art, including lacquers, ceramics, textiles and rare works from the Ryukyu Kingdom (1429-1879) . 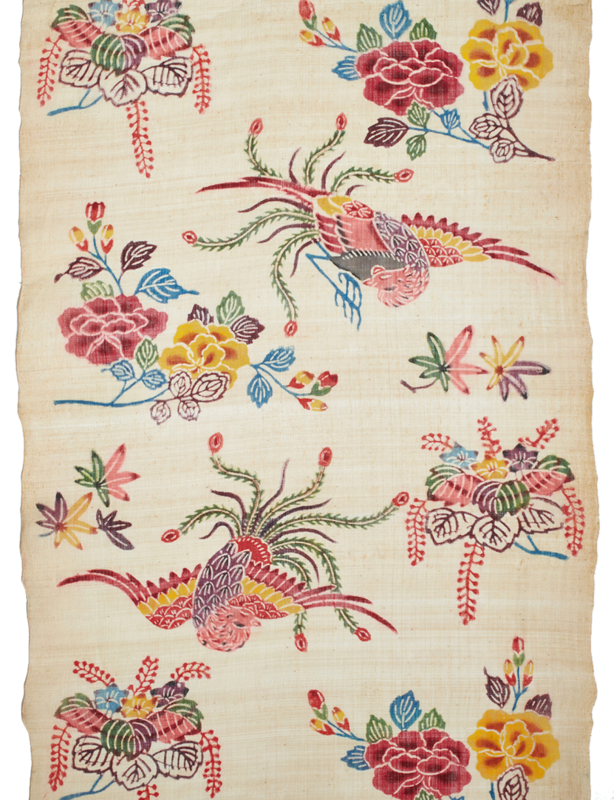 Several artists, along with their assistants, will provide insight into the various aspects of textile traditions still being practiced in Okinawa. Amongst the visiting artists are: Mieko Taira, who is from the lineage of Toshiko Taira, a Japanese Living National Treasure practicing the art of bashofu (banana) fiber weaving; Yomitan brocade weaver Hiroko Matayoshi; Machiko Miyagi who weaves kasuri, an ikat fabric of tie-dying threads prior to weaving; indigo dyer, Okishige Maeshiro, along with a katachiki (bingata) artist. 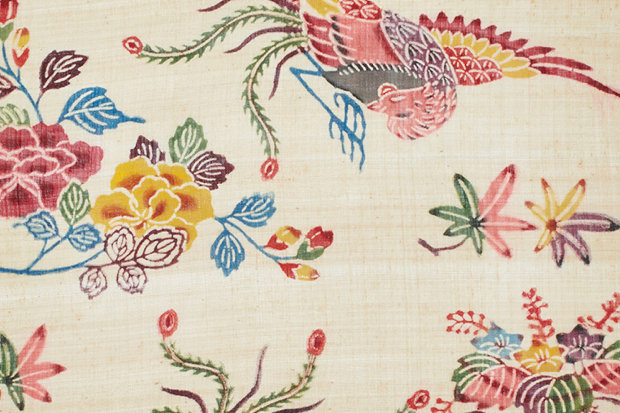 Starting the free public programming (with museum admission) on Friday, August 10, between 10am and noon, the artists and the museum’s curator of textiles, Sara Oka, will examine, discuss and share their knowledge of selected works from the museum’s textile collection. This unique opportunity to view objects from the vaults of Okinawan woven and dyed works, along with signed paper stencils used in the katachiki (bingata) process, will set the stage for the following days of demonstrations. Learn more about this textile sharing event here. On August 11 and 12, the Okinawan artists will be on hand to explain their artwork. Between 10am and 3pm, the weavers will do a free live demonstration on looms brought in specifically for this collaboration. Learn more about the weaving demonstration here.